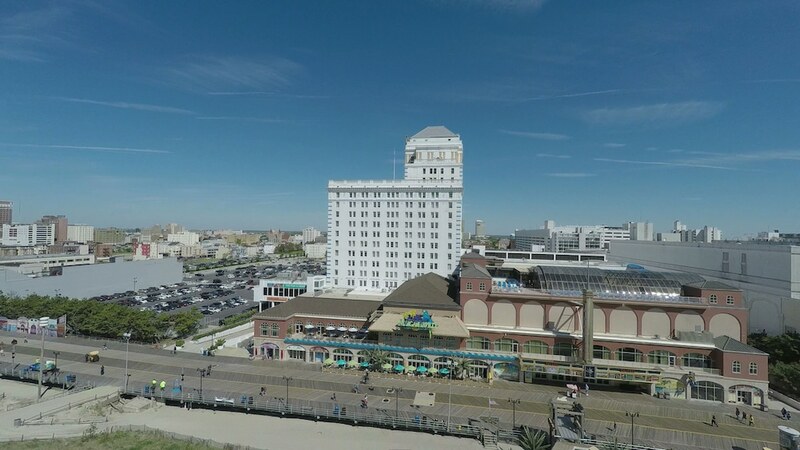 With a stay at Resorts Casino Hotel Atlantic City in Atlantic City, you'll be on the beach, within a 10-minute walk of Central Pier Arcade and Speedway and Ripley's Believe It or Not Odditorium. This beach hotel is 0.6 mi (0.9 km) from Atlantic City Public Library and 0.7 mi (1.1 km) from Atlantic City Hall. Make yourself at home in one of the 942 air-conditioned rooms featuring refrigerators and LCD televisions. Complimentary wireless Internet access keeps you connected, and satellite programming is available for your entertainment. Bathrooms have complimentary toiletries and hair dryers. Conveniences include phones, as well as safes and coffee/tea makers. Grab a bite at Capriccio, one of the hotel's 10 restaurants, or stay in and take advantage of the room service (during limited hours). Relax with a refreshing drink from the beach bar or one of the 6 bars/lounges. Full breakfasts are available for a fee. In addition to a full-service spa, Resorts Casino Hotel Atlantic City features an outdoor pool and a spa tub. Dining is available at one of the hotel's 10 restaurants. Guests can unwind with a drink at one of the hotel's bars, which include 6 bars/lounges and a beach bar. Wireless Internet access is complimentary. This beach hotel also offers a casino, a fitness center, and a sauna. Onsite parking is available (surcharge). Resorts Casino Hotel Atlantic City is a smoke-free property. Gallaghers Steak House - This restaurant serves dinner only. Open daily. Capriccio - This fine-dining restaurant specializes in Italian cuisine and serves dinner only. Guests can enjoy drinks at the bar. Open select days. EastWind - This restaurant specializes in Asian cuisine and serves lunch and dinner. Open select days. Guests can indulge in a pampering treatment at the hotel's full-service spa. Services include hot stone massages, Swedish massages, facials, and body treatments. The spa is equipped with a sauna, a spa tub, and a steam room. Check-in begins at 4 PM Monday - Saturday, 5 PM on Sundays, and 6 PM on Holidays. For more details, please contact the property using the information on the reservation confirmation received after booking. Rollaway/extra beds are available for USD 45 per day. Cribs (infant beds) are available for USD 45.0 per stay.